Bullion Index is a leading low cost online physical bullion trading and investment company located in Melbourne Australia. They offer investors access to trade and invest in physical gold, silver and platinum bars and coins from 15 trading hubs across the globe via the MetalDesk trading platform. Clients have full titled ownership with all bullion stored and fully insured. Founded by experienced financial market professionals, Bullion Index offers its clients a secure, transparent and low cost way to invest and trade in physical bullion. Clients of Bullion Index can access live prices on 18 bullion products and trade from 15 global trading hubs around the clock. The MetalDesk platform shows full market depth and allows clients to leave limit orders to purchase or sell at more favourable levels. 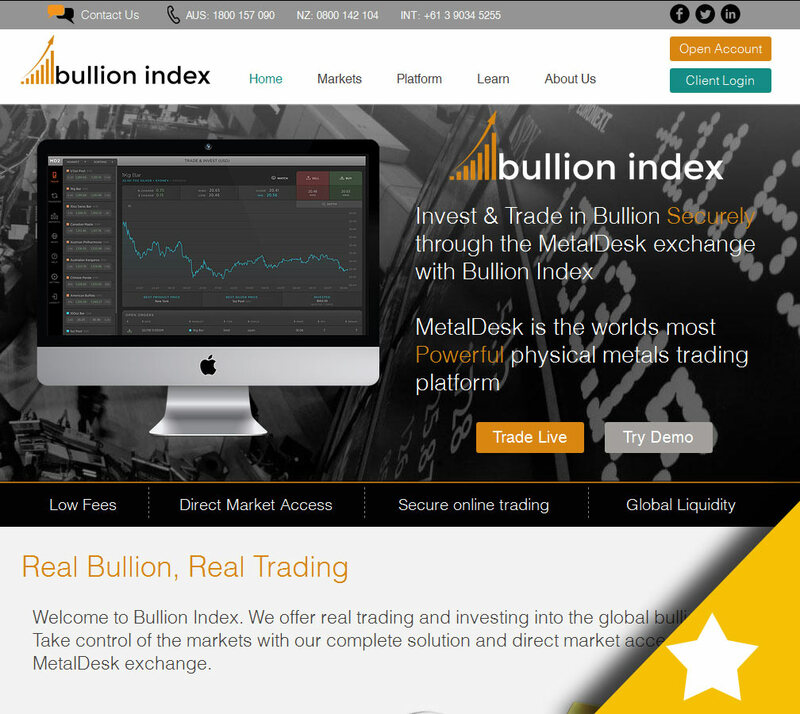 As well as their online trading platform, Bullion Index also offers regular market updates, news, charts, advice on trading and product selection, along with personal account managers. All client funds are segregated and held at top tier Australian Banks at all times. Bullion Index offers a wide range of bullion products to suit all budgets. 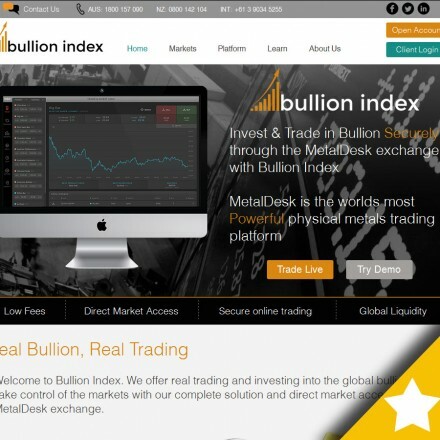 All products can be purchased and traded online via the MetalDesk platform from bullion exchanges in 15 global locations. All purchases are fully insured and stored in top-tier vaults and clients can start investing from as little as US$20. 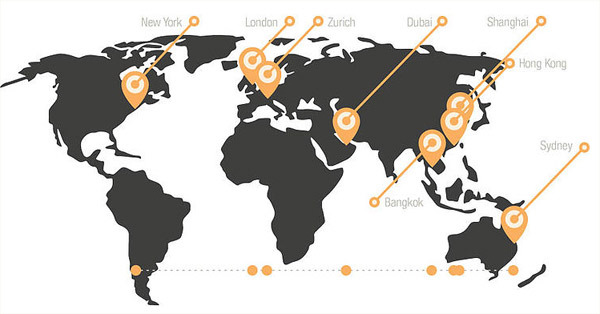 The MetalDesk platform allows clients to select and purchase bullion from 15 global bullion exchanges located in the world’s leading financial centres including New York, London, Hong Kong, Zurich, Brisbane, Bangkok, Melbourne, Shanghai, Singapore, Sydney, Dubai, Perth, Adelaide, Auckland and Istanbul. View live exchange prices and full market depth before placing a trade securely and transparently from any of the exchanges offered. Having access to multiple exchanges allows clients to trade the best price at any given time and allows clients to transfer wealth around the world. MetalDesk is the most powerful and sophisticated physical bullion trading platform in the marketplace today which offers liquidity to suit all trade sizes. Clients can view full market depth, live prices, charts and trade with speed. MetalDesk is 100% Direct Market Access (DMA) so there are no conflicts of interest and it’s available on your PC, Mac, tablet or mobile device. Bullion Index has partnered with the leading independent vaulting and logistic companies to provide comprehensively insured storage for its client holdings, while the MetalDesk platform makes it easy for clients to sell and track their holdings. All bullion holdings are subject to dual-layered, annual and random audit, stocktake and compliance checks by independent, industry leading audit firm BDO and inspection firm Inspectorate to ensure and verify accurate in-vault customer bullion holdings. Clients can of course also take delivery of their bullion. Bullion Index is an Australian bullion trading and investment company with a global reach. We provide an innovative and transparent way for investors and traders from across the globe to buy and sell real, physical bullion with all bullion stored securely and fully insured in world leading vaults. Our clients have full titled ownership of real bullion, they own it and can even withdraw it from our global network of secure vaults. When doing business with Bullion Index - please say you saw them in Bullion.Directory. Read or add Bullion Index reviews and ratings using the "reviews" tab above. All Bullion Index details are believed to be correct at the time of listing. Please report errors here. Been using these guys for a few months now to invest in silver. Very easy, dynamic and I can track my live portfolio. The only downside is I cannot invest in GBP (I am based in the UK), only USD & AUD so I end up doing all my investing in USD. A nice platform to use to buy gold, i’m used to buying gold through normal online dealers but the platform these guys have is great. it is similar to my stock trading platform. The prices Bullion Index offer are very close to market and are much cheaper than my usual high street dealer. I’ve been very impressed with Bullion Index’s professionalism, advice and the sheer quality of their digital trading platform. Wouldn’t hesitate to recommend them to friends, family and work colleagues.